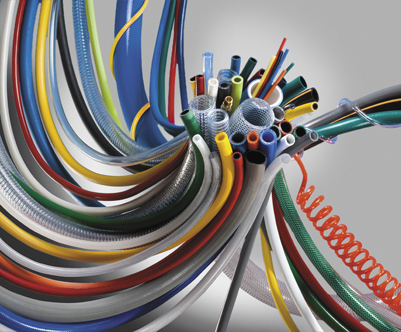 Waller Sales Corporation has a wide spectrum of hoses for practically any application. We offer hoses that handle pressures ranging from 50 to 6,000 PSI. Sizes are available from 3/16 through 2 inch in a variety of pressure ratings and temperature capabilities that meet your unique application requirements. All with a full complement of brass, steel and stainless steel ends. We also provide in-house tube flaring, bending & assembly services. Custom hose assemblies can be quickly fabricated to meet your needs.